Mardi Himal, lying less than fifteen miles north of Pokhara, is the most southerly mountain of the Annapurna range. 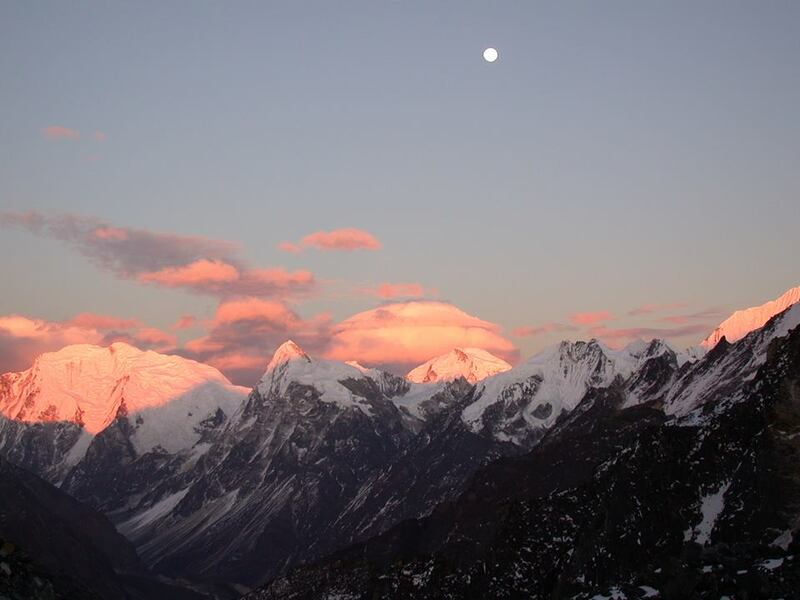 It is the lowest and perhaps the least climbed or visited of the trekking peaks in Nepal . Taking on this trek you will get to sight beautiful mountain views, sparkling rivers and lush green terraced fields. Mardi Himal trek takes you through beautiful forests, interesting villages and valleys, the cultural diversity being the main attraction of this trek. The attention of western mountaineers was first drawn to Mardi Himal by the photographs of Basil Goodfellow, taken in 1953. However, it was not until 1961 that the mountain received its first ascent. Jimmy Roberts, with two Sherpas, first climbed to the summit by a route on its west flank. Though there have been rumors of another route being made on the South-West Face, Robert's route is the only recorded route for the ascents. Best seen from the south, the mountain terminates the Southwest ridge of Machhapuchhre as a distinct and separate mass, at right angles to that ridge. From some viewpoints it seems little more than an outlier on the southwest flank of Machhapuchhre. On Mardi Himal's South-West Face are three well-defined ridges rising from rock buttresses and separated by hanging glaciers. Mardi Himal's East Face is separated from Machhapuchhre ridge by a col [circa 5,200m]. Our trekking route of ascent reaches this col from a glaciated amphitheatre that rises above a hidden plateau; the 'Other Sanctuary', so called by Roberts. The peak provides a commanding view of the Annapurna Range along with a spectacular vista of the Himalayan Matterhorn, Machhapuchhre. Despite its lowly latitude the mountain obviously has a great deal of potential for those interested in small-scale exploratory mountaineering and the ridges already mentioned present obvious climbing challenges at a reasonable standard. Day 01: Arrival in Kathmandu . Day 02: Sightseeing in Kathmandu .